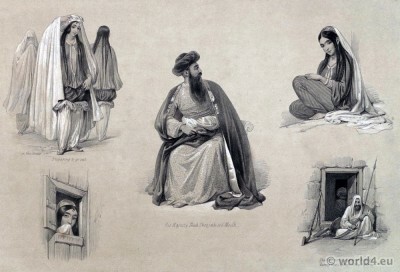 Afganistan Shah Shuja ul Mulk 1850. Home » Afganistan Shah Shuja ul Mulk 1850. The Governor’s place of Refuge during the Capture of the Fortress; Preparing to go out in the streets by James Atkinson. 1850. Read more: Gallery – Costumes and scenery of Afghanistan. This entry was posted in 1850, 19th Century, Afghanistan, Asia, Traditional on 10/9/14 by world4.